Many of you may recall in 2017 The Bridge to Hope was selected to compete for one of three grants. 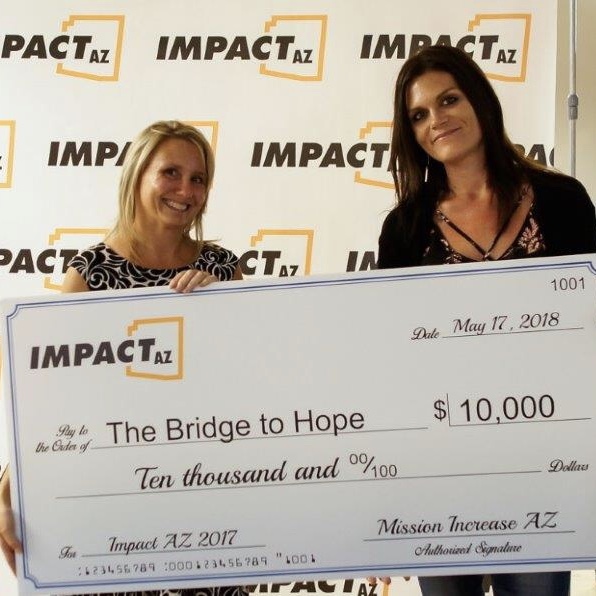 Out of over 900 Arizona Tax Credit eligible non-profits, The Bridge to Hope was one of just 19 ministries chosen to be part of Impact AZ, a granting program of Mission Increase Arizona. 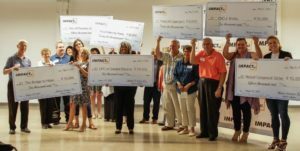 Because you responded to God’s call to give your 2017 tax credit to direct your tax dollars to The Bridge to Hope, we were the recipients of one of the $10,000 grants awarded on May 17 from Impact AZ!! You made it possible for The Bridge to Hope to continue ministering to moms who are putting their lives back in order with responsibility before God and our community. Each month, our prayer is that God would put it in the hearts of those who love Him to send the resources He has given them to The Bridge to Hope. We serve these moms and their children month to month, depending on those who God leads to send their resources in. Having this grant, that you with your tax credit donation has made possible, has helped those responsible for the day to day operations, and see how God shows up providing for our needs! We know there were many charitable organizations beseeching you to remember them with your tax credit dollars. We thank you for remembering The Bridge to Hope. We increased the amount of dollars and the number of donors over the 2017 competition, which rewarded us with being one of the grant recipients from the 19 Christian organizations in the contest. We thank you for your part and ask you to continue to pray for The Bridge to Hope, and trust God to supply the monthly needs for ministering to single homeless moms who are allowing God to bring wholeness and success to their lives. Bridge Graduate, Amber, was there that evening to be with us to accept the award! What an amazing gift!